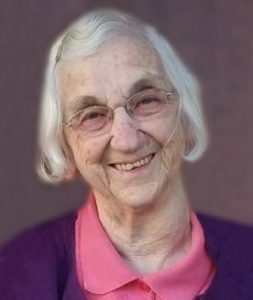 Martha Wachal, 88, of Columbus, died Tuesday, November 6, 2018 at Brookestone Acres in Columbus, Nebraska. 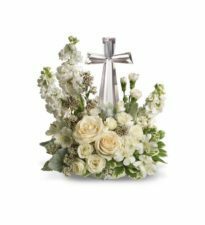 Funeral Service Saturday, November 10, 2018 10:00 A.M.
Martha Wachal was born June 11, 1930 at Appleton, Nebraska to Adolph and Agnes (Rolenc) Rezac. On May 18, 1950 she married Johnny Wachal at the Methodist Church in Schuyler. Before their marriage she taught school for one year. They lived on a farm west of Schuyler for many years. Martha had a big heart and always put other people first. She helped Johnny on the farm and after his death became a greeter at Wal Mart in Columbus which she thoroughly enjoyed. Martha is survived by four daughters; Mary Lou (Jerome) Benesch, Schuyler, Shirley (David) Bohaboj, Columbus, Diane Sasser, Enterprise, Oregon, Linda (Lawrence) Klink, Columbus and one son, John "JR" (Ruth Ann) Wachal, Clarks, one sister, Rose Ann (Buck) Kracl, Schuyler, 10 grandchildren; Jaime (David) Bock, Julie (David) Wilke, Jenny (Travis) Battershaw, Erika (Mark) Meyerhoffer, John (Jodie) Wachal, Robert Wachal, Stacie (Dillion) Bedford, Meagan Sasser, Nicole Klink, Brian Klink. 13 great-grandchildren; Tyler, Madelyn, Taylor, Cooper, Charlie, Kolyns, Joslynn, Jaxsen, Jase, Jordy, Emma, Madison, Keilan . Special friend, Joyce Taylor "adopted daughter". She was preceded in death by her husband Johnny, parents Adolph and Agnes, grandson Michael Klink, two brothers; Richard and Laddie Rezac.